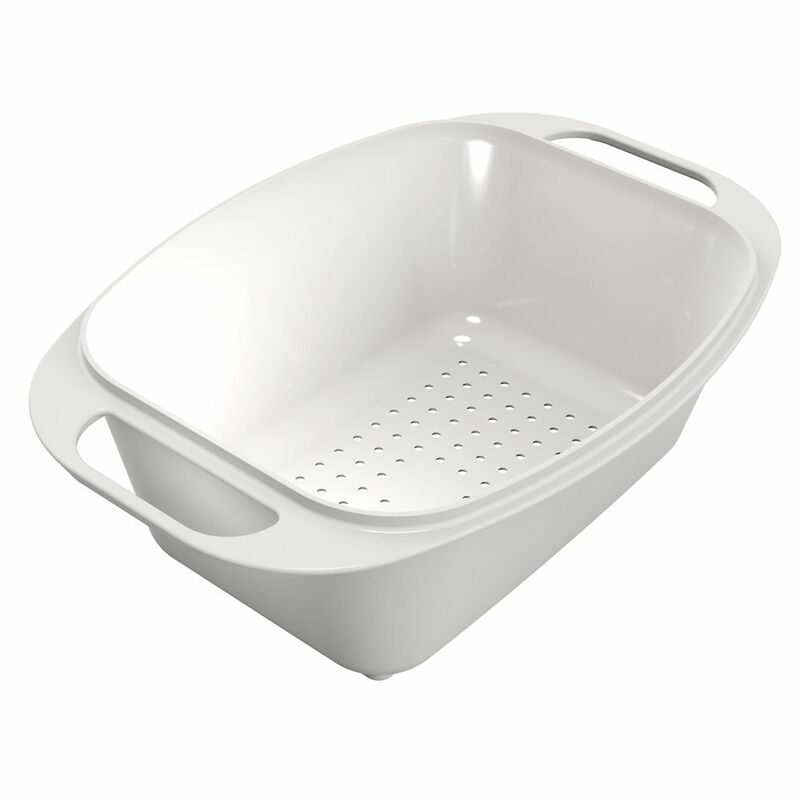 White plastic colander for draining, rinsing and defrosting. Dishwasher safe. BLANCO baskets fit right into the sink to hold dishes and glasses for draining. Their sectional design allows the inside dish rack to be removed creating a basket with a large flat bottom, which can then be used to carry, wash and drain vegetables. BLANCO Colanders are made of premium quality stainless steel. Perfect for rinsing and draining pasta or vegetables directly into the sink. Portable drain trays extend work surface and provide a hygienic surface for meats and other foods. Perforated stainless steel for Kindred granite sinks. Dishwasher safe colander registers on integrated ledge in sink. A beautiful and practical kitchen helper for food prep, clean up and hospitality centre. Kindred SS wire bottom grid - 15" X 21" X 1"
ABS Colander White plastic colander for draining, rinsing and defrosting. Dishwasher safe. ABS Colander is rated 4.0 out of 5 by 1. Rated 4 out of 5 by Calgarykid from Colander found. Found this item online when I couldn’t find it at a retail outlet. It riced promptly and was just what I needed to replace my old cracked and broken colander.